We like to imagine ourselves as rational beings who think and speak, yet to live means first and foremost to look, taste, feel, or smell the world around us. But sensibility is not just a faculty: We are sensible objects both to ourselves and to others, and our life is through and through a sensible life. This book, now translated into five languages, rehabilitates sensible existence from its marginalization at the hands of modern philosophy, theology, and politics. Coccia begins by defining the ontological status of images. Not just an internal modification of our consciousness, an image has an intermediate ontological status that differs from that of objects or subjects. The book's second part explores our interactions with images in dream, fashion, and biological facts like growth and generation. 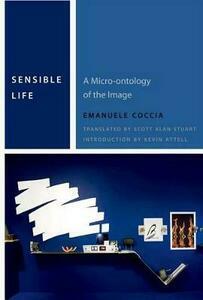 Our life, Coccia argues, is the life of images.